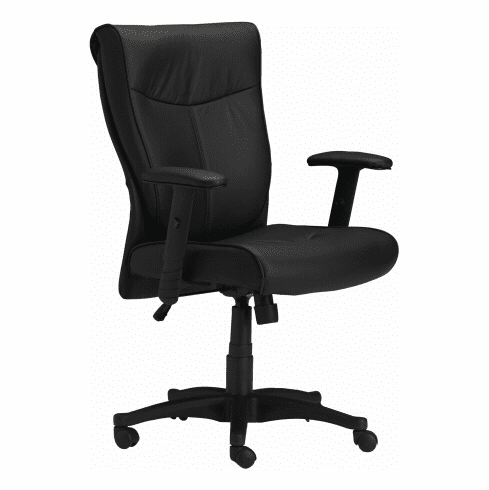 Mayline Mercado Leather Computer Chair  Free Shipping! Mercado offers a sleek, modern profile along with it's leather and mesh fabric and adjustable arms. The Seat Height is 18 1/2" at its lowest point and 22 1/2" at its highest.